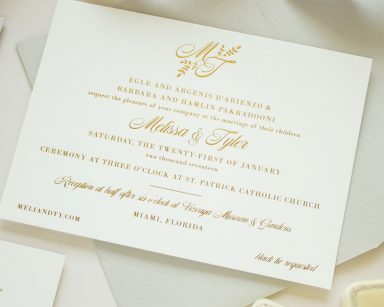 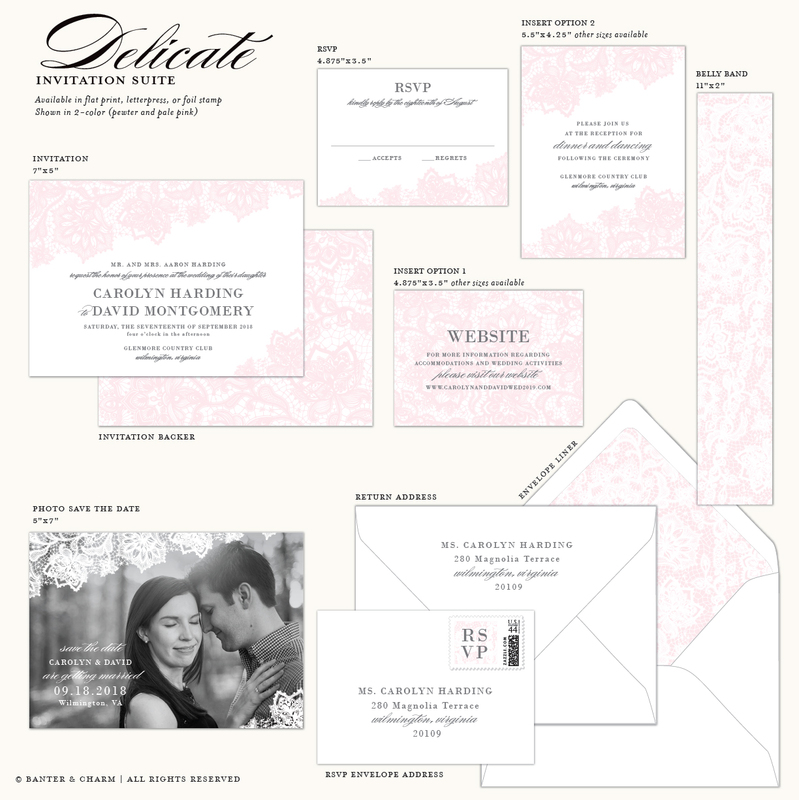 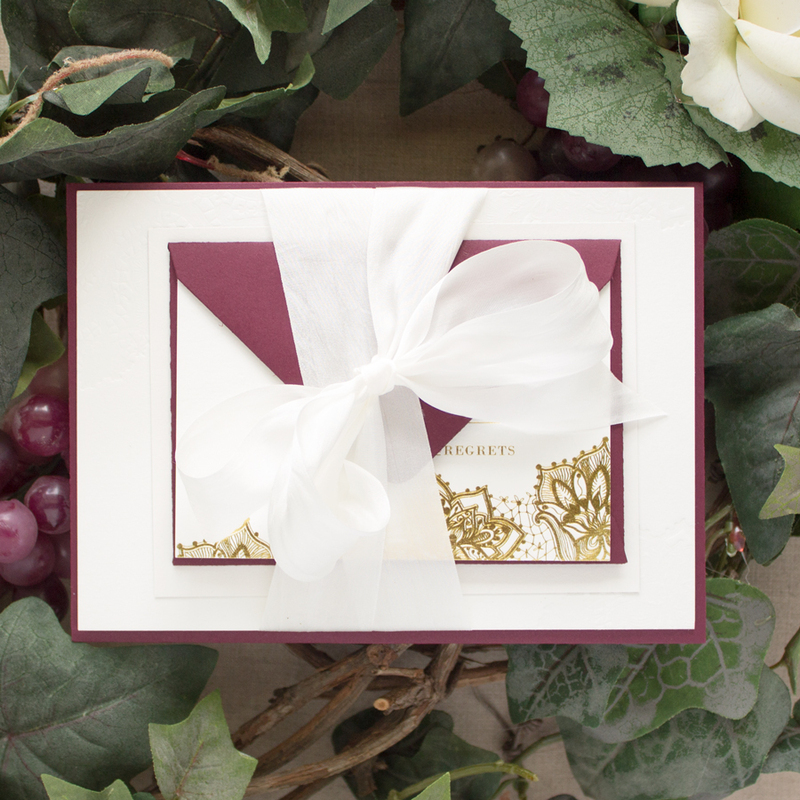 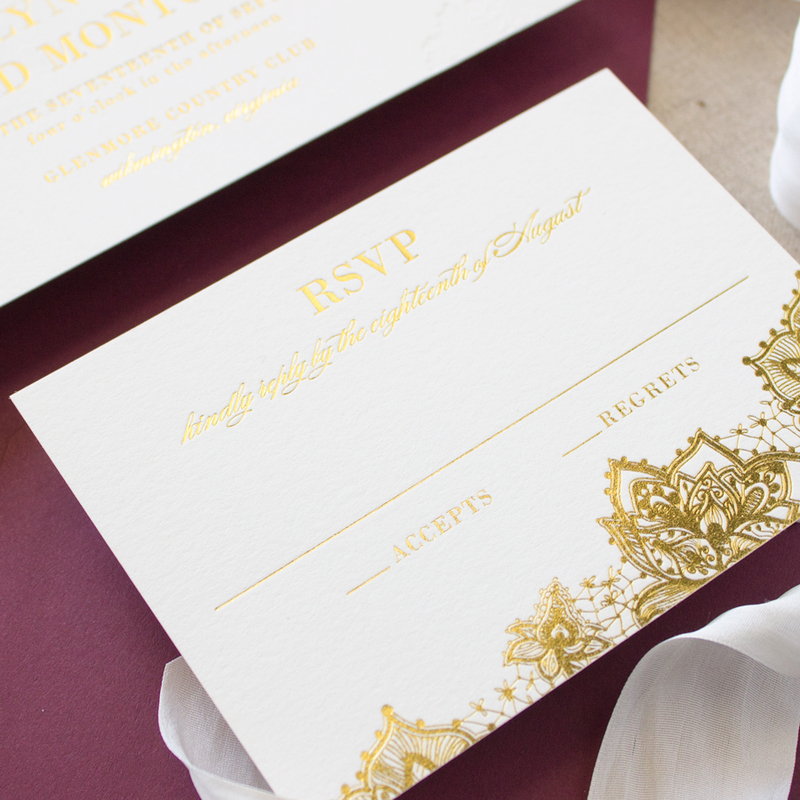 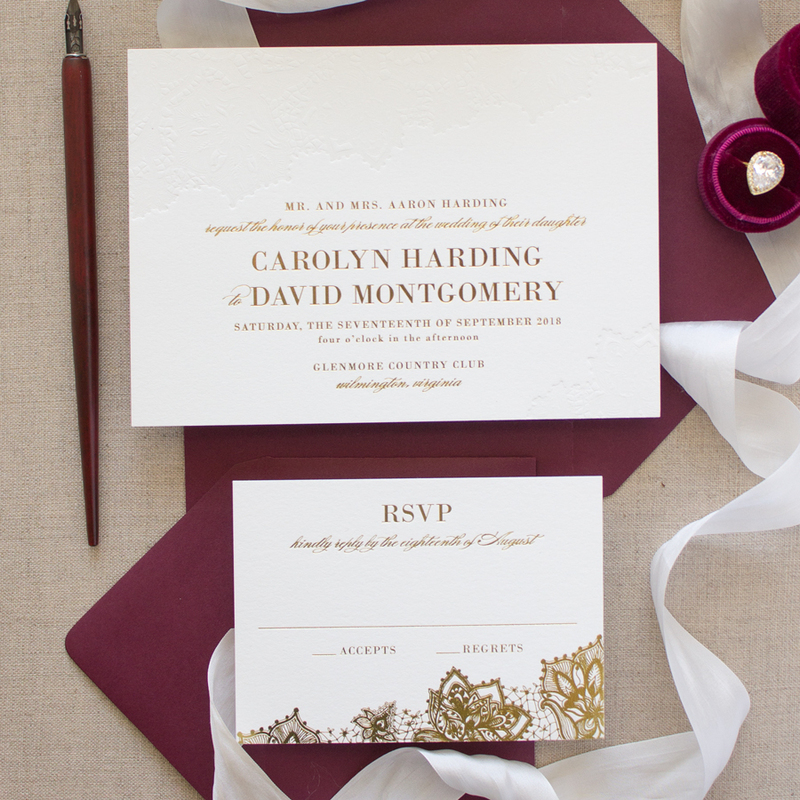 These gold foil stamped wedding invitations are featured with a burgundy envelope and wrapped up with an ivory silk ribbon for a classic look. 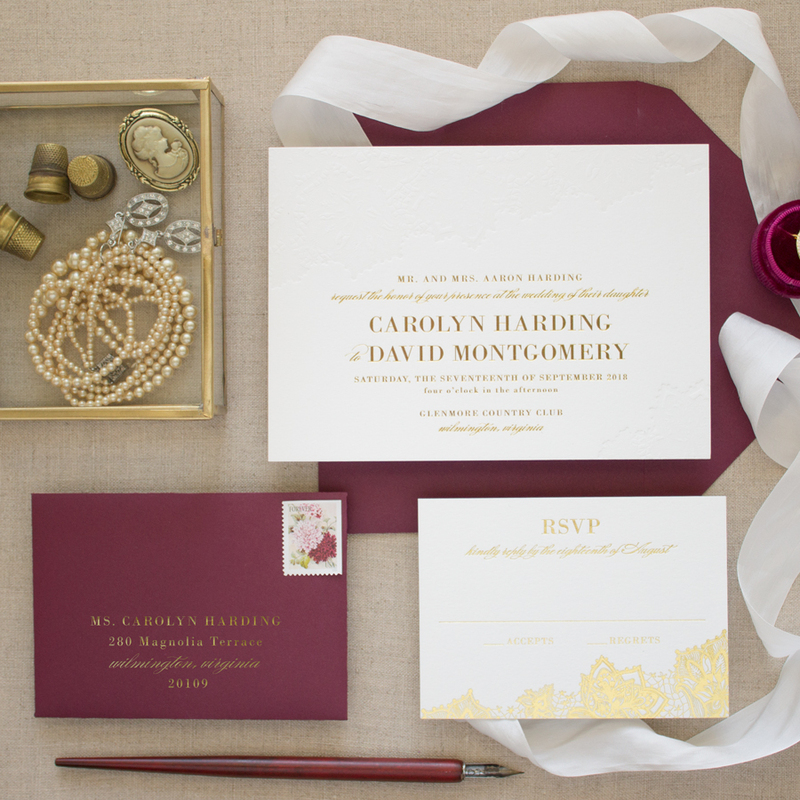 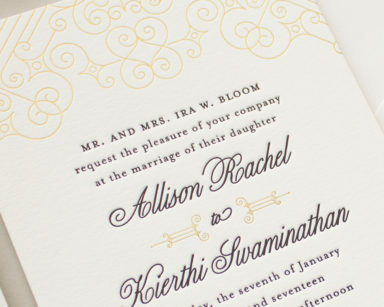 These vintage wedding invitations would be perfect for a winery wedding! 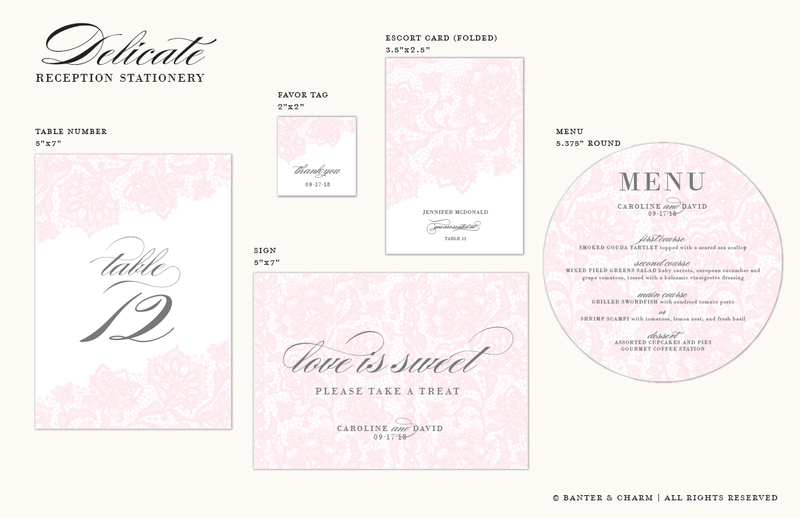 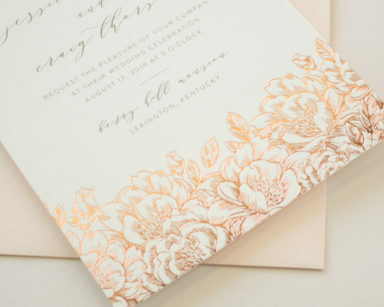 See this design in rose gold foil.